Click on underlined terms to see the definition on the Glossary page. 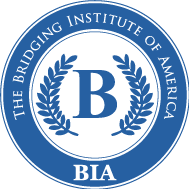 None of the Founders of the Bridging Institute of America nor any person who has worked in preparing this website are lawyers nor does the Institute or any of its Founders or staff provide legal services or advice. The contract forms available from this site and discussed below are examples of contracts which architects, engineers or program managers have employed in past projects carried out by the Bridging method. They are not provided as a form of legal advice. BIA and its members recommend to project owners, architects, engineers and program managers to engage qualified legal assistance in preparing legal agreements. Below are points that might be reviewed with the attorney or other preparer of the agreement between the Owner and the Contractor. Bear in mind that, while this agreement is basically in the form of a Design-Build contract, Bridging is not typical Design-Build but is a hybrid of the design-bid-build and Design-Build methods. The Bridging method is actually more similar to the design-bid-build project delivery method. These are drawing and specification documents prepared by an architect and engineers referred to herein as the Owner's Design Consultant ("ODC") sometimes referred to as either the " Bridging Architect" or the " Design Architect". The ODC is employed by the Owner and represents the Owner exclusively; often beyond the first two traditional design phases and through the administration of the Design-Build Agreement, including review of the final drawings and specifications (prepared by the Contractor's architect and engineers) for compliance with the DGIs and the Owner's OMR specifications prepared by the ODC, as well as compliance with the Design-Build Agreement. The DGIs (drawings) are predominantly well advanced architectural drawings with some engineering systems drawings which are prepared by the ODC based on preliminary designs developed by the ODC and approved by the Owner. The OMR is a set of specifications, typically of 16 sections, which describe all of the Owner's requirements that are not covered by the DGIs. This will usually include a mixture of performance and prescriptive specifications. The ODC should use professional judgment as to how much detailed design and specification work should be incorporated into these documents so as to protect the Owner and the design in terms of the expected end product. Part of the ODC's judgment call is related to not limiting any more than necessary the choices on the part of the Contractor ("Design-Builder"). The objective is to provide proposers as much acceptable latitude as feasible so the Owner will be the recipient of the best price proposal from the proposing Contractors ("Design-Build teams"). Neither the DGIs nor the OMR should be used for construction or building permitting purposes and should be clearly marked. However, it would be good practice in Bridging projects for the Owner and the ODC to obtain maximum flexible preliminary indications of approval for permitting based on these or even earlier documents prepared by the ODC. In some jurisdictions, though, it may be necessary to obtain some permits based on these documents. In those cases, the Owner's attorney and/or Program Manager should give the Owner guidance as to how to proceed without the Owner loosing benefits of the Bridging method. The terms DGIs and OMR are used to differentiate these drawings and specification criteria documents from the Drawings and Specifications prepared by the Contractor's architect and engineers. The latter are either sub-contractors to the Contractor or members of the Contractor's organization. These documents prepared by the Contractor's in-house architects and engineers or by architects and engineers who are sub-contractors to the Contractor as described above, should be the permitting documents. Also, the Contractor's AE will be the Architect and Engineers of Record. Many Design-Build agreements, including some public sector agreements, will call for the Owner or a representative of the Owner to "review and approve" these Construction Documents (CDs) when completed. Sometimes this will be in a contract form of a public body that will not allow any of its provisions to be removed. If that provision is left in and unmodified, it may cause the Owner and/or a representative of the Owner to take on some of the responsibility for the correctness or completeness of these documents, thus possibly damaging the Owner in terms of the Contractor's single design-build responsibility. Thus, a provision similar to the following should be added after the requirement for the Owner to "review and approve". "However, this review shall not be considered as a detailed review of the document from the standpoint of conforming with the program of requirements, the design, or any errors or omissions, but is only a review for the purposes of approval of a progress payment to the Contractor." Once the Owner has approved the progress payment due the Contractor for this point of progress in the design-build contract, the Construction Documents will supplement but not supplant any of the other Contract Documents. Thus they will not supplant either the DGIs or the OMR. It should be stipulated that once the Construction Documents become one of the Contract Documents, the Owner is entitled to receive anything that is called for in either the Contract Documents or the Construction Documents, and if the two are ever found to be in conflict, the Contract Documents shall prevail unless the Owner gives written approval otherwise. If a building code requires a change in the Contract Documents it is the responsibility of the Contractor and the Contractor's AE to present the proposed change to the Owner for review. Code compliance after the award of the contract should not be the basis of additional cost to the Owner, and the changes must be approved of by the Owner, however the Owner's approval should not be unreasonably withheld. The Owner does not have to make the large financial commitment for the construction itself any earlier in the project sequence than in the traditional Design-Bid-Build method. It gives the Owner leverage for the proper completion of the Construction Documents in faithful compliance with the Contract Documents. It retains leverage for the Owner for pricing scope and design changes deeper into the project sequence. Instead of a right to terminate, this point in the process can be an option to proceed for the Owner, which can accomplish the same purpose. Some Owners and their legal advisors will prefer the termination approach; others will prefer the option to proceed approach. The amount due the Contractor by the Owner at the completion of the Construction Documents should be stipulated in the Proposal Form by the Owner setting a percentage of the Base Bid as the amount due when the Construction Documents have been properly completed. The right to terminate is, of course, contingent upon the Owner making this payment unless the Contractor has defaulted by not having completed the proper preparation of the Construction Documents within a reasonable and stipulated time. If the Owner is using the services of a Program Manager, typically, the Program Manager would administer the Owner's agreement with the Contractor as the Owner's Representative. See separate section below for notes on contract with Program Manager for a Bridging project. Below are points that might be reviewed with the attorney or other preparer of the agreement between the Owner and the Owner's Design Consultant for a Bridging project. The name " Bridging Architect" or " Design Architect" may used instead of Owner's Design Consultant throughout with no other changes. The services of the ODC in the pre-design and Schematic Design phase would be the same as for the Architect in the traditional agreement. The services of the ODC at the same stage as Design Development would typically be at or above the same general level of effort as the work of preparing Design Development documents, but the produced documents would be significantly different as these documents will be the DGIs and the OMR which become Contract Documents in a Design-Build agreement. An illustration of this level of effort can be found as Figure 3 on the "What is Bridging?" section of this website. A PDF of the same information is also available from that same page. The services of the ODC during the time of receipt of proposals for the Design-Build contract and the award of that contract, including any additional work related to negotiations and preparation of amendments, would be the same as the services of the Architect in a traditional agreement between Owner and architect. The services of the ODC after award while the Contractor's AE is preparing the Construction Documents would be to monitor their work and give both progress and final reports on whether or not the Construction Documents have been completed in compliance with the Contract Documents. The services of the ODC during construction are basically the same as the services of the Architect and its Consulting Engineers during the construction, including observation of the construction, approval of progress payments, etc. The only difference will be that the Contractor's AE will review the shop drawings and file checked copies with the ODC and the Owner who would usually allow a stipulated grace period to expire unless the ODC or Owner notifies that a particular set of shop drawings appear to have errors or inaccuracies which must be resubmitted. At no point would the ODC ever be required to make a statement that it has reviewed the shop drawings or approved them. Grace periods should be stipulated in the Agreement between the Owner and the Contractor. If the Owner is using the services of a Program Manager, typically, the Program Manager would administer the Owner's agreement with the Contractor as the Owner's Representative. If the Owner elects, the ODC's services may be reduced or the services may be eliminated during construction or during CD reviews and construction. In those cases, the Owner would either provide those services itself or engage the Program Manager or a Construction Manager or Administrator to carry out those services on behalf of the Owner. This document would be similar to other agreements for Program Management services to an Owner but the Agreement would need to attach a document such as the 4-page illustration of the Bridging Method to clarify the project delivery method being employed. The following services of the Construction Program Manager (" Program Manager") should usually be called for in the Agreement, assuming the Program Manager is retained prior to the Owner's Design Consultant (" Bridging Architect"). This is a valuable service because the Agreement between the Owner and the Owner's Design Consultant can be a very valuable management tool benefiting the Owner. If the Program Manager is brought on later, the below list of services would be modified accordingly. Assist the Owner in making final decisions about the project requirements and scope, possibly carrying out for the Owner preliminary technical investigations as to the suitability of the site, evaluating with and for the Owner potential legal and permitting constraints. As necessary, assist Owner in site acquisition. Prepare or determine that a full Program of Facility Requirements ("Program") has been prepared and approved by all stakeholders in the Owner organization. Put into form, or determine that the Program has been put into a form that is suitable as an exhibit to the contracts with Architect, Engineers and Construction Manager. Simultaneously with above and during the review and approval of the Program, develop a Total Project Budget ("Budget") covering all hard and soft costs as well as non-construction related procurements, such as furnishings, moveable equipment, data and telephone, security systems, signage, fees, taxes, financing costs, etc. along with all contingency funds. Simultaneously with above, develop a Master Project Schedule ("Schedule") for all major activities of all parties from the pre-design phase through occupancy. Determine that the Program, Budget and Schedule are compatible. Assist the Owner in resolving any compatibility issues. Assist the Owner in identification of candidates for Owner's Design Consultant ("ODC") obtaining information about qualifications and/or carry out due diligence whether selections are to be comparative or single source. Assist the Owner in the award of the contract with the ODC. Throughout the Schematic Design phase and preparation of the Bridging Contract Documents , carry out cost analyses and budget adherence verifications using a multi-track costing program with line item by line item reconciliations. Track schedule adherence throughout the design and construction phases and advise Owner and other parties on any necessary recovery scheduling. Throughout the design phases and construction coordinate the approval process with all users and stakeholders in the Owner's organization as well as with any separate financing and/or approval agencies that are not to be processed by the Contractor. Administer the Contractor's contract during the preparation of the Construction Documents by the Contractor and the Contractor's AE as well as during the construction phase in essentially the same manner as the Owner and PM would administer a general construction contract recognizing that the Contractor's AE is one of the Contractor's subcontractors. Review and/or coordinate the ODC's review of the Construction Documents prepared by the Contractor's AE for compliance with the DGIs and OMR. Coordinate the inspection of the work. Inspections would be carried out by the ODC and/or separately engaged inspectors. Review and approve on behalf of the Owner all progress and final payments to the Contractor as well as to the ODC along with any other vendors or providers of services. Assist the Owner in closing out the various contracts and provide records for retention. So long as the duties of the Program Manager do not include the selection of the Owner's Design Consultant, there is no conflict of interest for one entity to provide both the Program Management and Owner's Design Consultant services. This assumes, of course, that that entity has the appropriate capabilities for both. Two passages that might be considered for adding to an agreement between Owner and Owner’s Design Consultant. The owners of this site would have no objection to paragraphs similar to the following being included in such an agreement, though it is recommended that the entity using either or both of these seek its own legal advice. “Familiarity with the Bridging method of design-build contracting. as described as of _______ 200_ in that certain internet website www.bridginginstitute.org”. “Description of some, but not necessarily all, of the services of the ODC in connection with the preparation of the Bridging Contract Documents. “Based upon the Schematic Design Phase documents approved by the Owner, the ODC shall carry out such further design work as required ,to prepare and shall prepare, the Design Guide Illustrations and the Owner’s Minimum Requirements (DGI/OMR) so that those documents may be used by the Owner as major exhibits in the Contract Documents for the purposes of the Owner obtaining fixed price proposals from design-build contractors for a Bridging type design-build contract. In so doing, the ODC shall carry the architectural design work to at least the point that would traditionally be done by an architect under an AIA Owner-Architect agreement to equal Design Development documents and as much further as is necessary to fully establish the architectural design including but not limited to site development plans, floor plans, elevations, and design details so as to cover all of those aspects of the architectural design as are important to the Owner’s requirements and the details of the architectural design. Further, the ODC’s consulting engineers shall consult with the ODC’s architects as to selection of all engineered systems and with respect to the spaces required in the architectural envelope and the site for all elements of the selected engineered systems. In either the architectural drawings or separate engineering drawings all plumbing fixtures and their locations and mountings shall be fully shown and all plumbing fixtures, fittings, and functional components, such floor drains, shall be laid out, scheduled and prescriptively specified including several manufacturers’ model numbers and like information for each item. Further, in either the architectural drawings or separate engineering drawings, all lighting fixtures, switches, electrical outlets and other user electrical devices along with security and communications elements shall be laid out and specified with manufacturers’ model numbers and like information. Further, if HVAC supply and return grills are important to the interior architectural design, those elements of the HVAC system shall be selected by manufacturer model numbers and shown in architectural interior elevations and reflected ceiling plans as well as site lighting and security elements. Further, site development plans shall show the existing and finish grades, planting areas and paved services as well as site structures with indications of type of materials and finishes for the paved areas as well as site structures. The final DGI shall consist of architectural drawings advanced beyond the traditional Design Development point as necessary to protect the Owner and the design, but there shall be relatively few if any engineering drawings. The OMR shall be a specification type of document, fully protecting the Owner legally, but shall employ performance type specifications in every case in which a prescriptive specification is not required to protect the Owner and the design. See the attached chart entitled “Level of Work in the Preparation of Bridging Contract Documents for a Typical Building Project”. In preparing these documents, the ODC shall use its professional judgment as to the level of detail and specificity so as to fully protect the Owner and the design, except that, within those requirements, the DGI/OMR shall allow bidding contractors as much latitude as is prudent so that the Owner may receive the cost benefits of design-build solutions for the un-detailed aspects of the project.